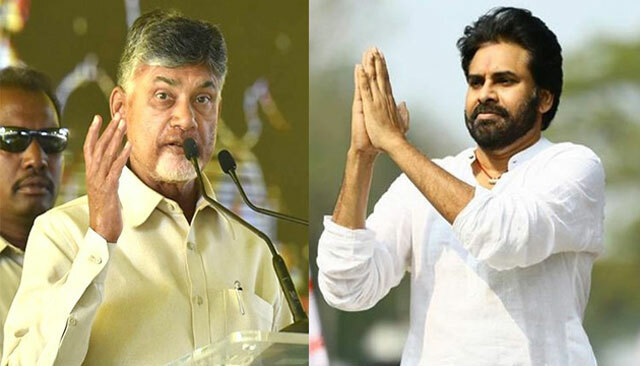 The recent statement of Chandrababu Naidu and Pawan Kalyan gave an impression that they are working towards the common goal of defeating YS Jaganmohan Reddy. This could be the ploy behind the 'Andhra-Telangana' Statements issued by both of them. Political Observers say, KCR hasn't been targeting Chandrababu Naidu much these days. So, The plan seems to be provoking the TRS Supremo and make him abuse AP Leaders. If that happens, Jaganmohan Reddy will be linked with KCR to instigate Andhra Sentiment for political gains. This could be the actual game plan of both Chandrababu Naidu and Pawan Kalyan. Telangana CM K Chandrasekhar Rao thought of settling scores with his AP Counter Chandrababu Naidu during the 2019 Elections. The TRS Supremo, however, realised TDP Government in AP could use it according to its convenience if he interferes in AP Elections. TRS Leadership is quite confident that YS Jaganmohan Reddy is capable of forming the government in AP single-handedly. So, A decision was taken to let the people of AP decide which party should be in power. Here is the recent statement of KTR - 'We aren't interested in AP Politics. Andhra People are clever enough to decided who is best to rule them. Time has arrived for Chandrababu Naidu's retirement'.